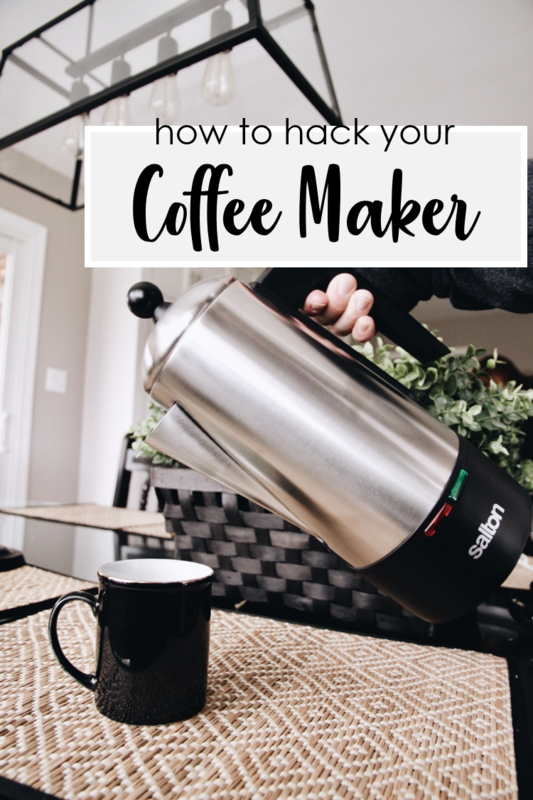 The key to getting your perfect brew is using a coffee maker that is made for the amount of people you will be serving. A standard coffee maker will make about 5-10 cups and sometimes this can still be too much or too little. 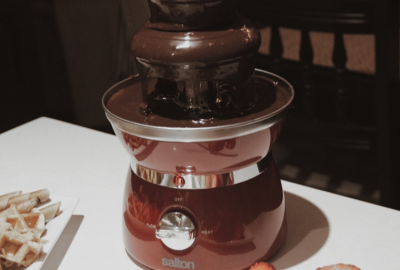 At Salton, we decided to do better than that and brought something new to the table. 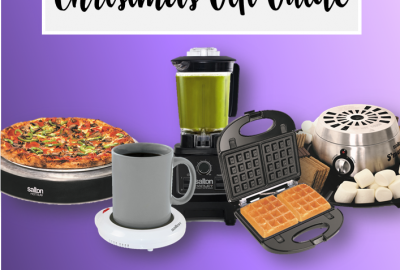 Making coffee for just yourself? 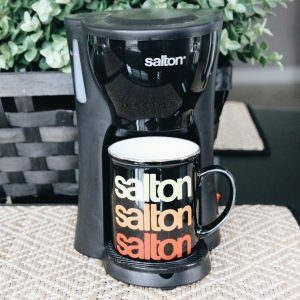 Get it perfect every time with the Salton One Cup Coffee Maker. Never let an unfinished pot of coffee go to waste ever again. Now take that, and multiply it by 14. (The limit does not exist). 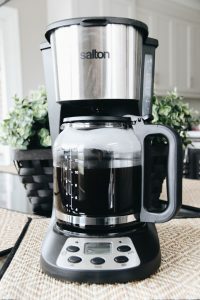 With the Salton Jumbo Java Coffee Maker you can brew up to 14 cups of coffee at once. 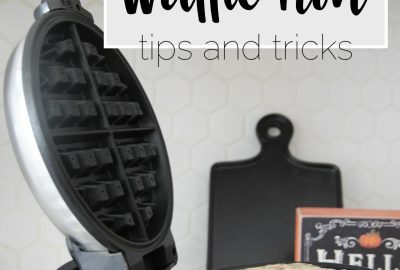 This thing was made for the “Hostess-With-The-Mostess” in your life. With Pause-and-Serve function, you have the ability to pour your guests a cuppa joe without having to wait for the whole batch to be done. With Keep Warm ability, you have two hours of warm coffee waiting in a pot until everyone is ready for their after-dinner delight. To get the perfect cup, know your crowd, and have the coffee maker that is equipped to handle your situation. 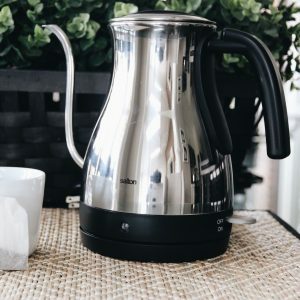 Let’s face it – there are a million and one ways to brew coffee but if you’re following along with the latest trends, percolating is currently all the rage. 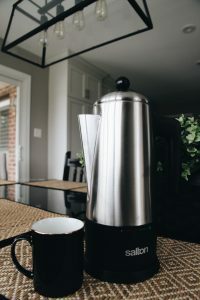 Compared to regular drip-machine brewed coffee, a percolator circulates boiling water around coarsely ground coffee grinds to get a bold and flavourful cup of coffee. 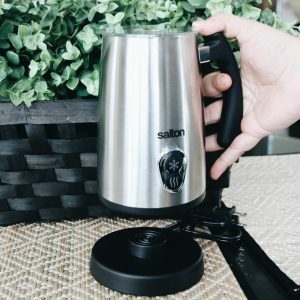 The best part about the Salton Electric Percolator is that it will automatically reduce the heat at the end of the brewing phase, keeping the coffee at drinking temperature but not boiling so your coffee will not burn. Coffee connoisseurs unite around this 10 cup favourite! If you’re like me, you hate dishing out $10 for a cappuccino. “But how could I ever accomplish that at home?” you think unknowingly to yourself, never having heard of a Milk Frother. With the Salton Milk Frother, you are able to make your No-whip, Low-Fat, 2 pump Cappucino at home, with your favourite kind of milk. Enjoy delicious lattes and cappuccinos in the comfort of your own home! With the touch of a button this easy-to-use Frother will froth hot or cold milk in seconds! The stainless steel construction is both beautiful and durable. The non-stick coating cleans up easily and the 360° cordless base is perfect for left or right hand use. Just froth, pour and enjoy! Another very important step to attaining the perfect cup of coffee is to grind beans to ensure freshness every time. And the best part about it? 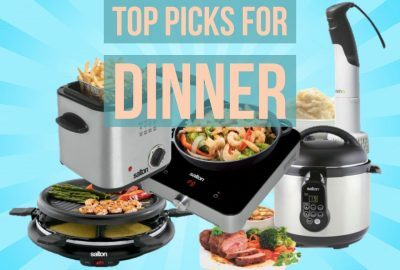 You save money and it’s totally customizable! 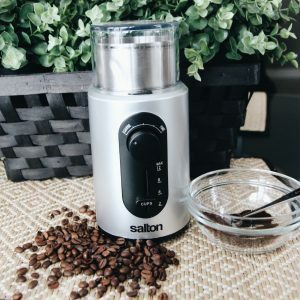 Grind your favourite beans to the perfect coarseness in 4 easy steps with this Salton grinder! Simply fill the bowl, select the number of cups, choose your coarseness and press start. And voila! The precision timer takes over to ensure your ingredients are ground uniformly without burning. With a capacity of 12 cups and 5 different grind settings, this grinder is a force to be reckoned with and a definite must-have. So we’ve all seen it on social media… Those lattes with the amazing designs poured into them! Well this Gooseneck kettle is exactly what you need for #latteart! 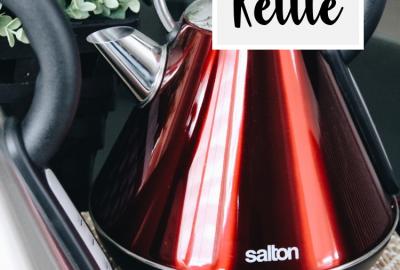 The Salton Gooseneck Kettle: An elegant brushed stainless steel design with a convenient gooseneck spout providing precise pouring control. This kettle boils the perfect amount of water every time in a petite frame with grand capabilities. Pouring water at just the right temperature over a filter filled with expertly ground beans is the way to get the tastiest cup of coffee, and your guests will be so impressed. Christmas is a month away, and for some that sentence is more stress-inducing than exciting….